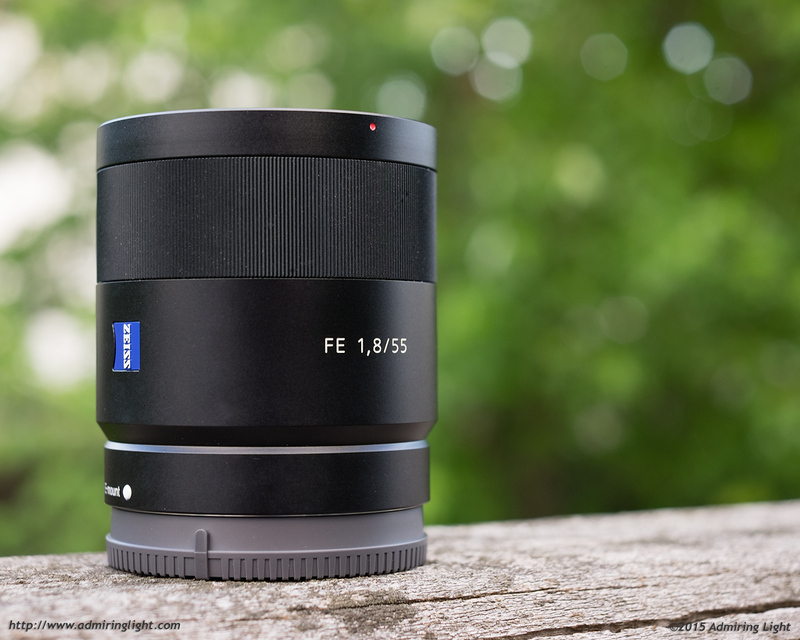 The Zeiss FE 55mm f/1.8 Sonnar has been around since the beginning of Sony’s full frame E-Mount launch, and a lot of people consider it an outstanding lens. I thought about not doing an FE 55mm f/1.8 review, as it’s been out for a while, but after using the lens over the past two weeks, I simply have to share my thoughts and feelings on this lens. The FE 55mm f/1.8 shares the same all-metal construction that is found on essentially all the Sony Zeiss lenses. The smooth aluminum barrel has no creaks or movement at all, and the only control is the finely ribbed focus ring. The lens is reassuringly solid and has a subtle heft to it. It’s not a huge lens, though it is a bit longer than most normal prime lenses. Overall, the 55mm f/1.8 balances well on pretty much any Sony body. One somewhat interesting, though inconsequential fact about this lens is that the front element is concave, rather than the typical convex elements seen in most lenses. This doesn’t affect use in any way, but I thought it was somewhat interesting. The manual focus ring is well damped and very smooth to operate. Like all the Sony E-mount native lenses, the focus is fly-by-wire, so there are no hard stops and no focus scales present. The lens comes with caps, a case and a lens hood. The hood is somewhat large in comparison to the lens body, but provides good shading and protection. It’s nicely constructed of plastic with a metal band around the base near the lens. This band doesn’t do anything, but it feels nice and a bit more premium as a result. It’s a nice touch. The bayonet mount for the hood is recessed slightly, and is similar to the hood attachments for many of the other Sony/Zeiss E-mount lenses. The FE 55mm f/1.8 isn’t the most compact normal lens, but it’s not large either. The FE 55mm f/1.8 sports a very fast and quiet autofocus motor. The lens locks focus very quickly on both the A7 II and the APS-C a6000 in good light, and slows somewhat it dimmer light. However, that slowing is relatively minor for the most part, and speed is still pretty good when shooting higher contrast subjects in low light. I have noticed that when shooting people in lower light situations, that sometimes the lens will hunt through the range a bit, which can slow things down somewhat. Part of this is that I found it best to use the smallest focus point setting on the camera, due to the relatively shallow depth of field that an f/1.8 lens can generate on a full-frame body. Using larger focus points, especially when shooting closer up to people, would often have the lens focus on eyebrows instead of eyes, which can be notable in these situations. The lens does not feature an optical image stabilizer, which is common among normal prime lenses. It would have been nice, given the APS-C normal prime from Sony has optical stabilization, but I don’t view it as a major downside, especially if you’re shooting on the A7 II. the cz ultron for the icarex system from the early 70s had a concave front element. that lens is supposedly very well regarded. i wonder if these lenses share similar designs. here is a link to that particular lens. Thanks for your review! How would you compare this one to Sigma 60 2.8 DN on A7II ? Does it really 4x better as price ? How much slower is the AF on Sigma? 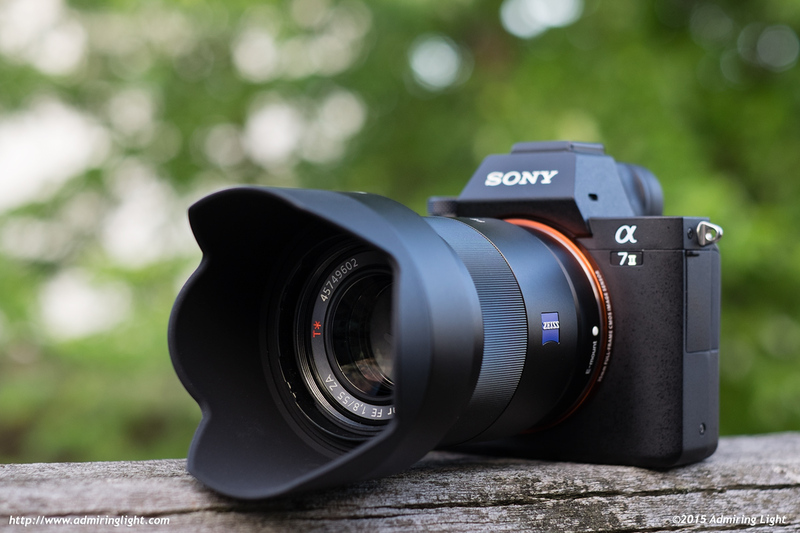 Well, the Sigma is an APS-C only lens, so on the A7 II, it’s not a competitor. Thanks for your response, Jordan. APS-C only ? But it can be mounted onto A7II, and shot in FF mode too, with some vignetting. People also reported removing baffle and reducing vignetting, with further processing in LR for even more vignetting reduction. It will mount, and the lens is excellent. You have to decide whether saving the cash is worth losing some resolution, having to crop every image manually, having a notably longer focal length (once cropped, it’ll be closer to a 70mm FOV), and over a stop slower aperture. I view something like a manual focus 50/1.4 or 55/1.2 to be a much stronger ‘competitor’ than dealing with that regularly. The Sigma 60 is an amazing optic, and the choice is much tougher if you’re an APS-C shooter (and where I think it makes more sense to shoot the 60.) The 55 sings on full frame. 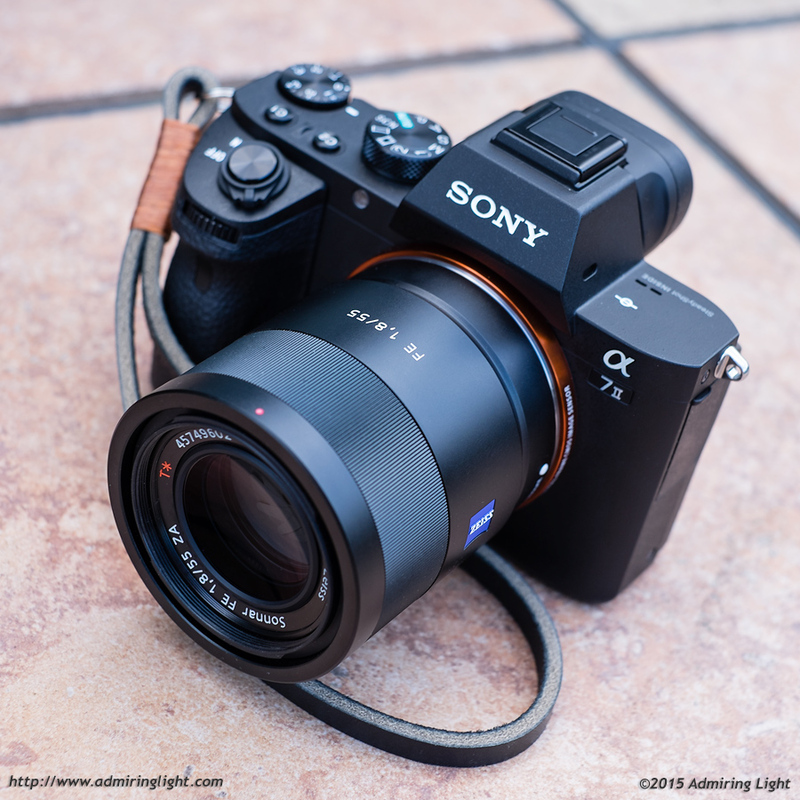 Jordan, excellent comprehensive assessment of the virtues of the Zeiss FE 55mm f/1.8 ZA Sonnar T. So much so that I have opted to purchase the lens coupled with the A7II and a Metabones adapter (for my Nikon lenses). Thank you. Your “Morning in Columbus” shot is exceptional. 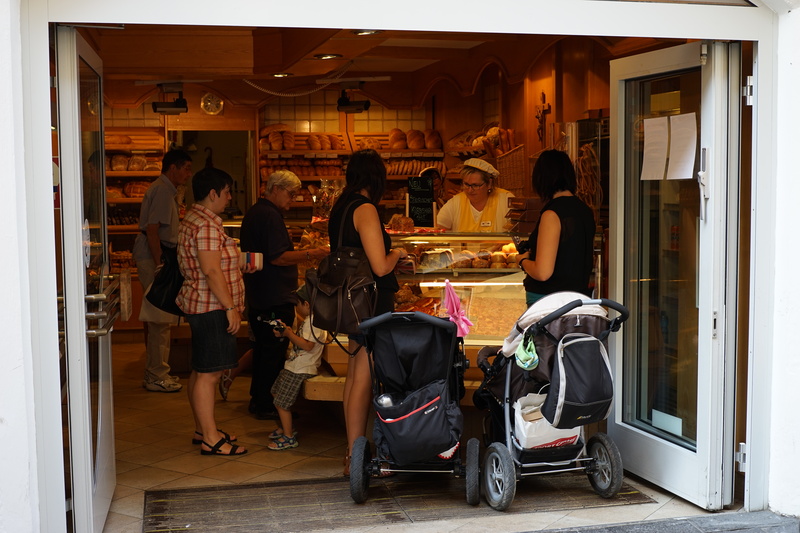 What is your impression of the focusing speed differences between the Sigma 60 2.8 and the FE 55 1.8 on the A6000? I’ve read that the Sigma 60 2.8 never received a firmware update to take full advantage of the A6000’s improved focusing, but does this translate to a meaningful difference in focusing speed? Thanks, Jordan, for a great review of a great lens. I currently own an A6000 with a Sigma 60 mm 2.8 DN. I am extremely impressed with the images that I am getting from this system. Even so, I am looking at the Sony 55 mm 1.8 ZA for a number of reasons: (1) the Zeiss lens can take full advantage of the A6000 hybrid autofocus, the Sigma can not; (2) the extra 1.3 stops, (3) the Zeiss lens will make for a smooth transition to full-frame, when I do upgrade. My question for you is how the Sigma and Zeiss compare in terms of sharpness, both center and corners, and contrast on the A6000? Thanks. I haven’t tested them side by side on the a6000, but my impression from using them is that there’s very little to distinguish them at similar apertures on APS-C, with regards to sharpness. Hey Jordan, I was just wondering if the lens hood that your lens came with has a little play. I can wiggle mine 1-2mm (rotating) when it’s mounted in any orientation. Just wanted to know if this is normal since the rest of the lens seems to have a perfect fit and finish. Pingback: ?????????? Sonnar T* FE 55mm F1.8 ZA??????? | ????????????? Pingback: ?? ?Sonnar T* FE 55mm F1.8 ZA??????????????????????? | ???????????? ?